faq - Western Irrigation, Inc.
A: No. 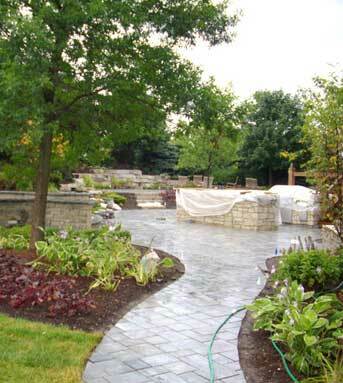 Western Irrigation is a full-service irrigation company who will take you through the process start to finish. We contact J.U.L.I.E. to locate underground utilities on your property and arrange for all necessary plumbing to be performed by our licensed plumber, as well as obtaining all necessary permits. A: The type of work being done will ultimately determine the time frame. For instance, if you are having a new lawn installed or repaired, we would be the second to last step in the process, the last being either your seed or sod. In the case of general building or construction, we can typically work around other contractors unless a large portion of our installation area is obstructed. In this scenario it would be best to wait until completion of the project. Q: My Controller shows the zones working, but here is no water coming out of the sprinklers? A: Generally this happens after a rainfall when the rain sensor is full of water, the main shut off valve is closed or one or more of the ball valves on tech RPZ is closed. Please see our how to section on turning your main supply On / Off. Q: Where is my main shut-off valve for the system? A: It is usually located near the water meter or by the hot water tank, marked with an orange Western Irrigation tag. A: Refer to your owner’s manual for specific programming instructions, Pro-C manual page 18, ICC manual page 27, Icore manual page 16. A: First make sure there is power at the outlet. If there is power at the outlet then the controller might need to be replaced. Call Western Irrigation for service. A: When a program finishes watering and starts again, we call it repeat cycling. A common reason for a controller to repeat cycle is more than one start time is programmed. Refer to your owner’s manual for specific instructions, Pro-C manual page 17, ICC manual page 25, Icore manual page 15..
Q: My system is coming on at the wrong time? A: Check time of day of the controller, it may need to be reset. Refer to the owners manual for programming instructions, Pro-C manual page 16, ICC manual page 25, Icore manual page 15. Q: Why won’t my controller turn on a station or program? A: Make sure the controller is programmed correctly. Stations that do not turn on may not have a run time scheduled in the program. A program missing a start time, run times, or days to water will not come on at all. refer to the owners manual for programming instructions, Pro-C manual page 25, ICC manual page 26. A: Yes, just set the “station run time” to zero for the problem zone, and you can still run the other zones. Refer to the owner’s manual for programming instructions, Pro-C manual page 17, ICC manual page 26, Icore manual page 15. A: First turn off the water by closing the valve before the backflow or in the basement at the irrigation shut off which is marked by an orange Western Irrigation tag. Call Western Irrigation for service.